Some of my favorite things about Carrie are the unique ways (and how much) she thinks about and cares for others. This is often demonstrated through the gift of food. 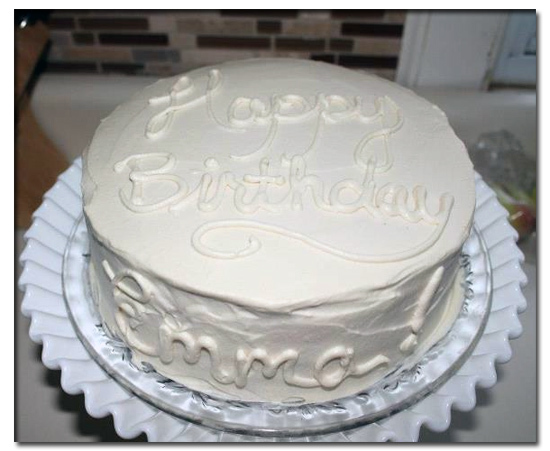 So when it came to be time to make a cake for our niece Emma’s birthday, Carrie made a cake that made her think of Emma. On the outside, Emma can be somewhat shy, and not all that talkative. But once you get in with Emma, and get to know her, she is bright, colorful, and vibrant. I love that this cake fits Emma so well, and it was such a fun experience to watch her face light up as the first piece of cake was cut and moved on to her plate. I hope she didn’t get married at 12. Thank you for the great compliments! Wife points out error in post. Oh, I love that cake, Carrie!!! Hey Doro! It was delicious too! You should have been here to try it! When are you coming back to Colorado? 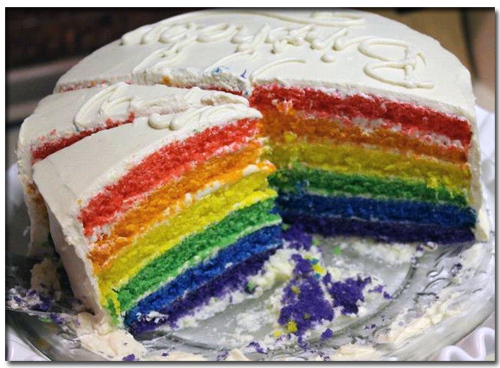 And what’s your favorite kind of cake? I would have loved to try it… can’t you just send me the recipe? We don’t know when we’ll be coming to see you ….hopefully soon! Nasser’s going to start with his master thesis next week. He can work for a company not far from here. We miss you over here. Hope to see you soon again. 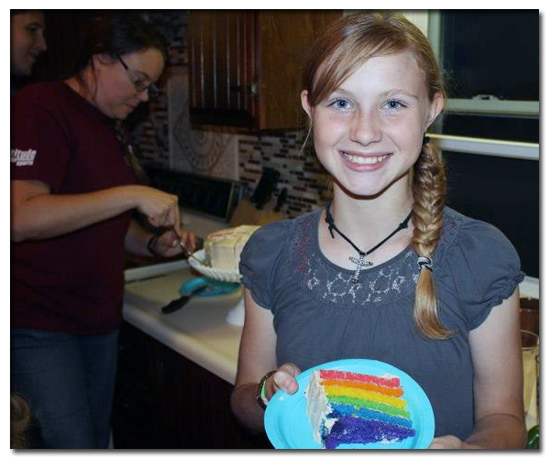 I can just taste how yummy that cake must’ve been because it is so beautiful, just like 12-year old Emma!! The easiest way to get started with Cryptocurrency. on your next AirBnb booking! Get $15 for free on your next Uber Ride!